Depending on the style and theme of your wedding, there are a number of stunning locations including the apple orchards, on the property to hold your ceremony. For that intimate ceremony, your guests will meander through the garden between the copse of silver birch, to the walled garden surrounded with beautiful trees, the perfect setting to exchange your vows with your loved one. 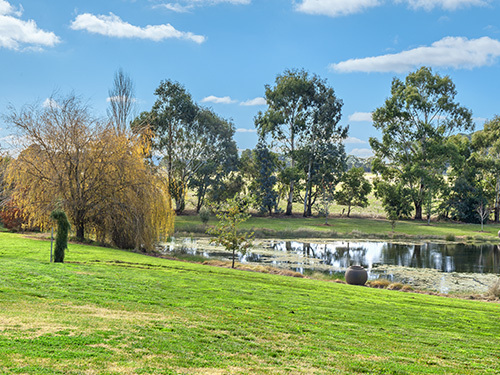 Located on the banks of our beautiful spring fed dam with wild ducks swimming in the background this idyllic location provides a perfect site for your ceremony. 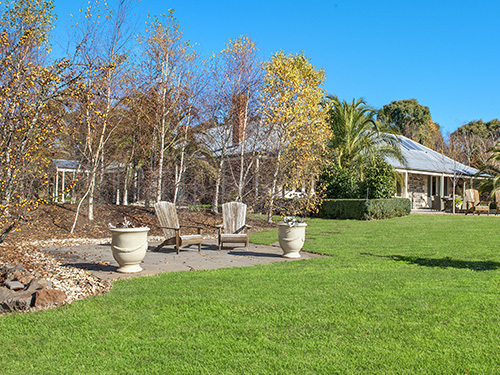 With sloping manicured lawns your guests will not only have a fantastic view of the vows being exchanged but will be transported into a romantic sanctuary. 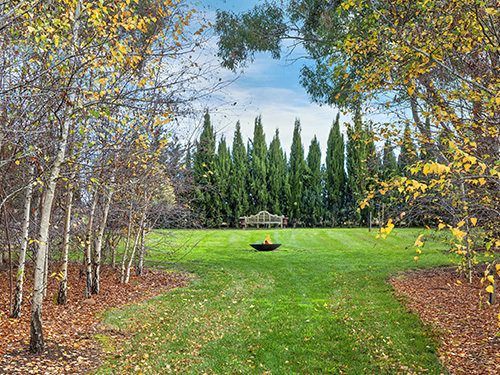 Located close to the bluestone homestead, this site is a favorite for our brides with the birch trees providing a perfect backdrop to your ceremony and the sounds of wild life filtering up from the farm dam in the background. It doesn’t matter how well planned your outdoor ceremony is, the weather sometime just doesn’t cooperate!!! 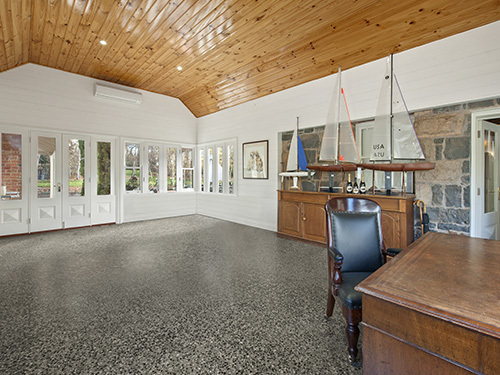 At Orchards at Spring Vale Farm this isn’t a problem, our glass atrium within the homestead’s footprint delivers the perfect wet weather alternative for you to take your vows. 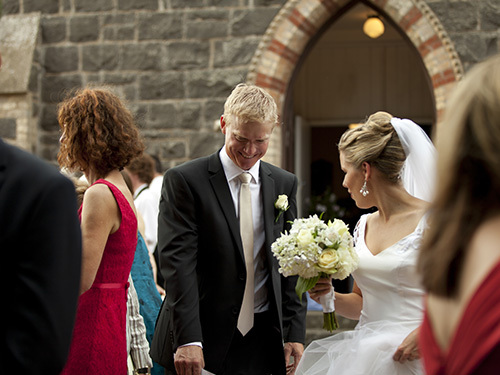 If a church wedding appeals, there are charming churches within a five minute drive from the property all built in the mid-19th century. There are also several larger churches in nearby Ballarat. At the conclusion of your ceremony, celebrate your special day with us at Orchards at Spring Vale Farm. 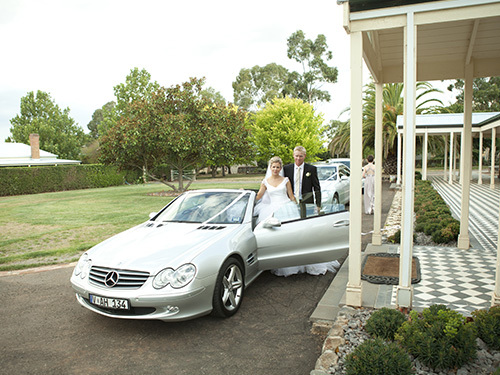 We also have available a number of cars for hire that can be used to transport the bridal party to and from the church.